When Santa Fe guitarist Nathan Smerage left his rock band Venus and the Lion late last year, he went on the hunt for a radically different project. He spent the better part of 2017 composing acoustic guitar ballads, and emerged with nine songs inspired by classic ragtime music. “It was on my bucket list that I wanted to make a solo guitar record,” Smerage says. 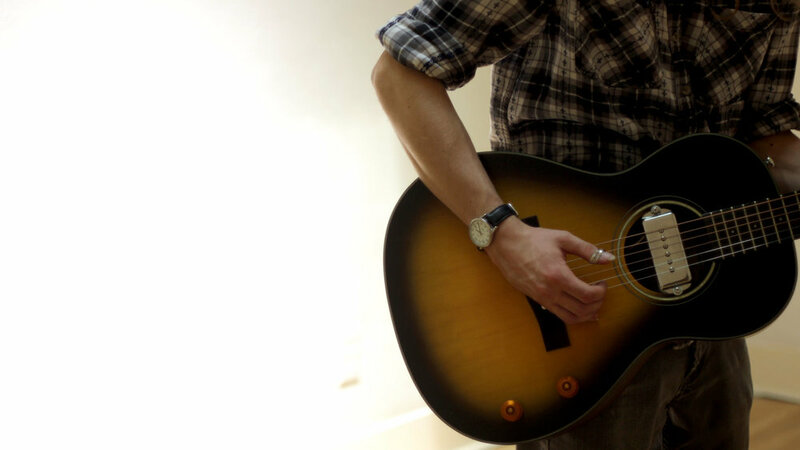 “Just guitar, no other instruments, no overdubbing. 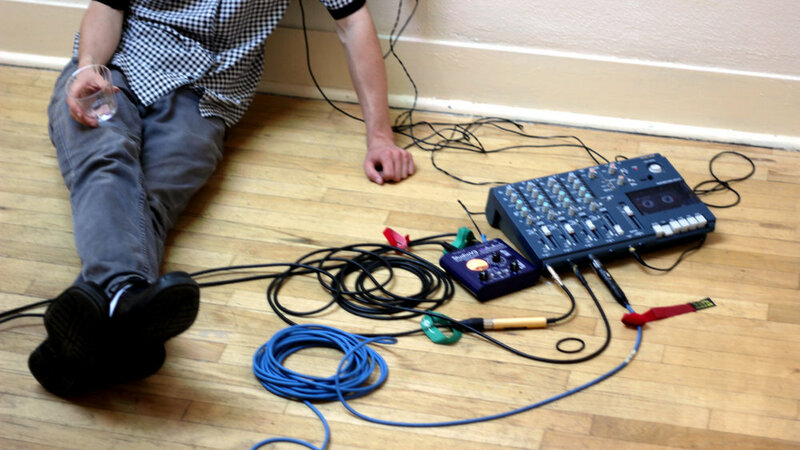 It was terrifying.” This summer, Smerage recruited local musician Luke Carr to help him record the album over two days at No Land art space. 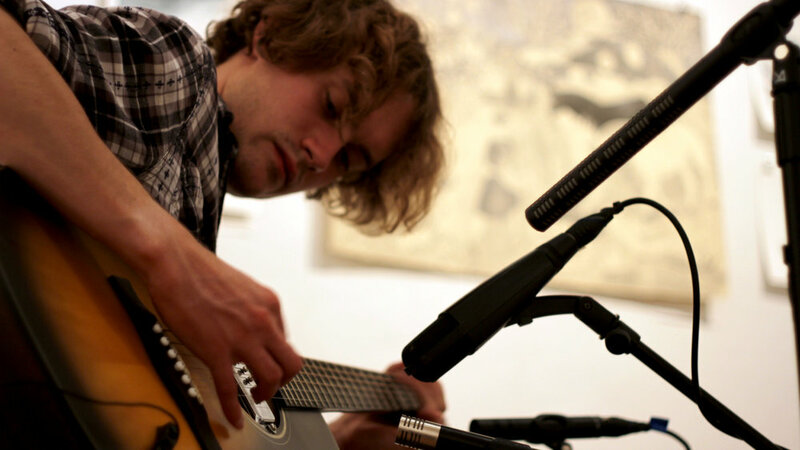 For the official launch of the album, titled The No Land Sessions, Smerage returns to the gallery to replicate the raw energy and unique acoustics of the recording. The album release show is at No Land on Thursday, December 21 at 7 pm. The gallery will ask for a $5-$10 donation, and The No Land Sessions CDs will be available for $10. “What can you do with just a guitar?” says Smerage. “That’s the question that kicked off the project, a little over a year ago.” He’d recently graduated from the Contemporary Music Performance Program at Santa Fe University of Art and Design, where he formed Venus and the Lion with three other students. As Smerage began composing songs for the solo album, he worked with former SFUAD professor and sound engineer Jason Goodyear to produce demos. “I was living across the street from Jason. Every month I would write a song, go to his place and record it. He was my coach,” Smerage says. 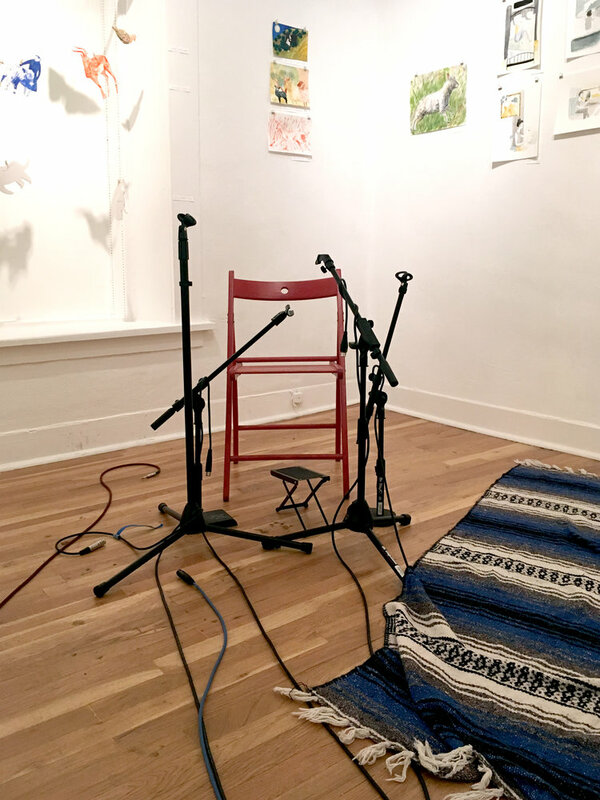 Smerage visited No Land for the first time early last summer, and re-imagined the art space as a makeshift recording studio. “I remember Nate walking through the gallery and snapping his fingers to check the acoustics,” says No Land Co-Director Jordan Eddy. “He was hearing something that we couldn’t, which was fascinating.” Smerage describes the space’s resonance as “wooden” and “old-timey”—a perfect complement to the ragtime-inflected soundscape of his compositions. Nathan Smerage grew up in Chicago, and studied music at Santa Fe University of Art and Design from 2012 to 2016. Since graduating, he has toured the nation as a solo act and with Santa Fe band Storming The Beaches With Logos In Hand. He is based in Santa Fe, New Mexico. 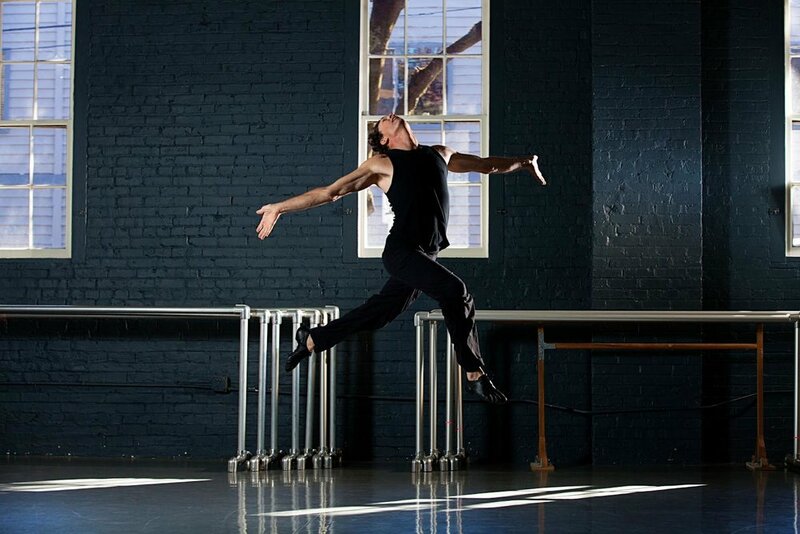 To many professional dancers, early retirement seems like an inevitability. Santa Fe dancer Emmaly Wiederholt spent most of her 20’s in San Francisco, performing in contemporary dance companies. 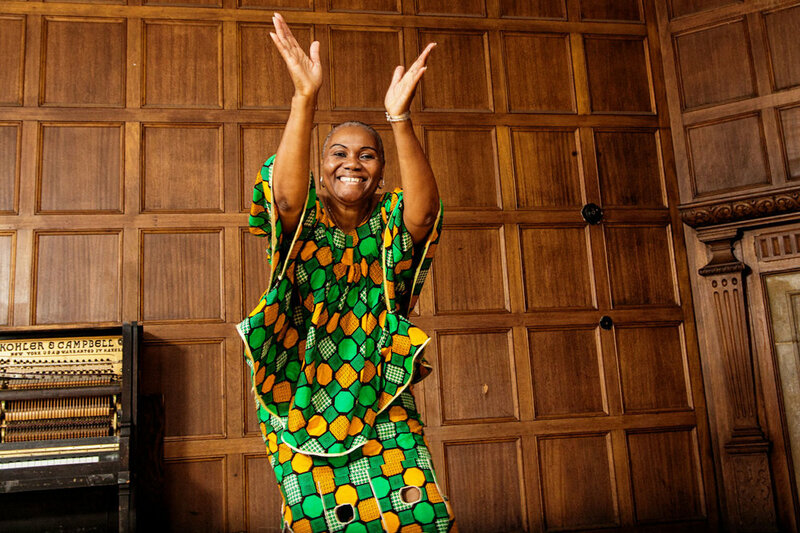 When she was 28, she moved back to her home state of New Mexico, but didn’t leave dance behind. Instead, she embarked on a quest to interview dancers who are decades past their ostensible expiration dates. 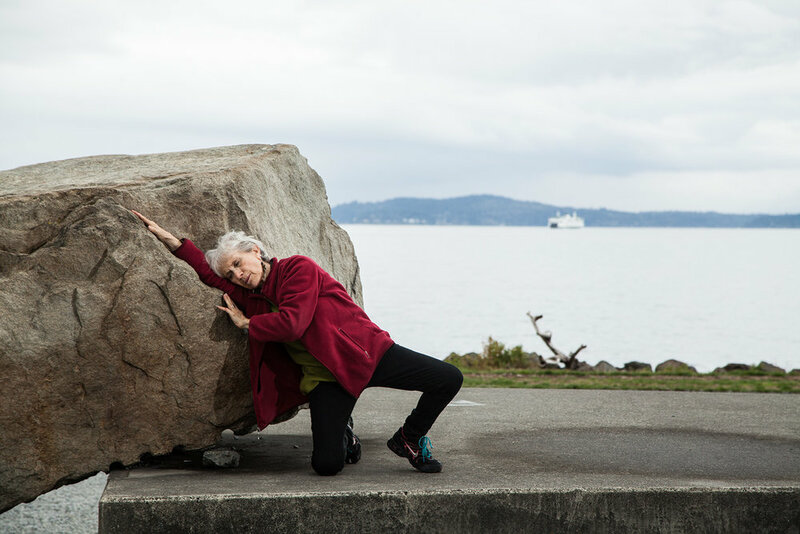 On a series of crowdfunded expeditions through San Francisco, Los Angeles, Portland and Seattle, Wiederholt and photographer Gregory Bartning gathered the stories of 54 dancers ranging in age from 50 to 95. The words and images they captured became the independently published book Beauty Is Experience: Dancing 50 and Beyond, which makes its official debut at No Land on Saturday, June 17 from 5-8 pm. Wiederholt will speak and sign books at this special reception, and limited edition prints of Bartning’s photographs from the project will be available for purchase. By 2015, Wiederholt and Bartning had completed 32 interviews in San Francisco, Los Angeles, Portland and Seattle. Late that year, they mounted a monumental road trip to all four cities and conducted 25 additional conversations. They also hosted a number of fundraising events to promote an Indiegogo campaign that would help them compile the Stance on Dance blog posts into a book. They completed Beauty Is Experience this year, and the book launch at No Land marks its official debut. The 210-page, 9 x 12 in., hardcover, full color photography book features 54 interviews and over one hundred photographs. The event kicks off Wiederholt’s book tour to each of the cities where interviews were conducted. 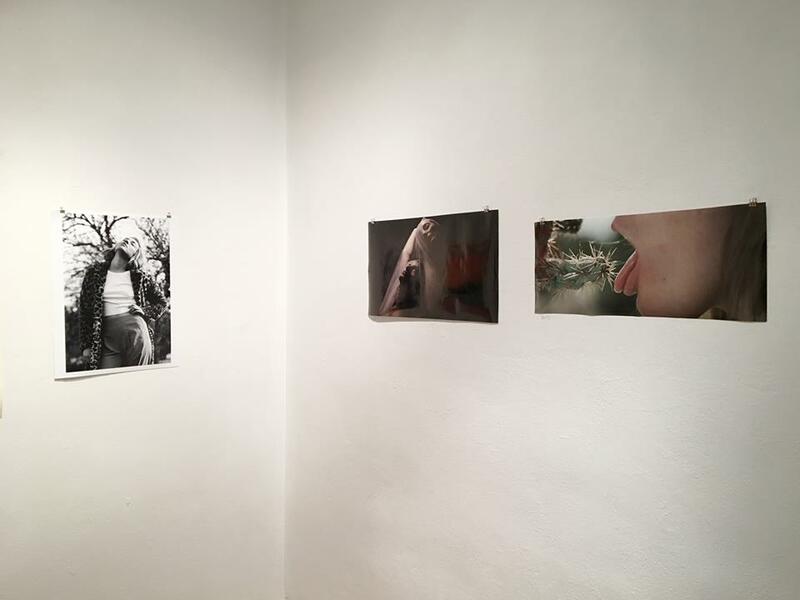 “Emmaly has contributed powerful performances to a number of Strangers Collective exhibitions,” says No Land co-director Kyle Farrell. 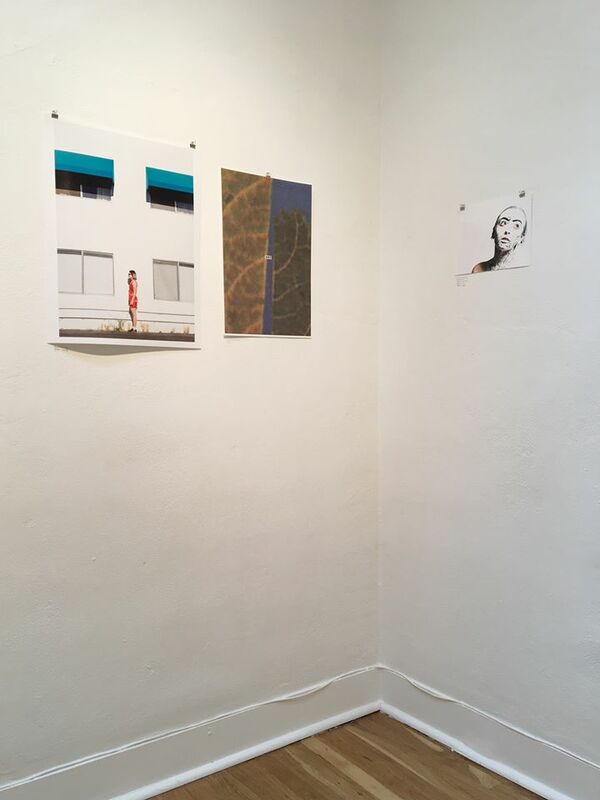 “When she showed us this project, we were blown away by the dynamic imagery and inspiring insight of these remarkable artists.” Strangers Collective's new art space, No Land, features solo and small group exhibitions by artists, writers and performers. Dedicated to those ready to take the next step in their careers, No Land invites emerging artists to develop and show complete bodies of work. *All photographs courtesy of Gregory Bartning, Belle Images. About seven years ago, Santa Fe poet Jesús Castillo bought a pack of index cards to take notes while he was reading. He was living in Berkeley at the time, in a house full of young writers who’d recently graduated from college. The city was buzzing with literary energy, and Castillo felt inspired to start an ambitious project: a book-length poem. “I realized that each of these index cards made a nice little stanza, and three of them fit on the page,” he says. “For two years after that, I just carried them around with me and filled them out whenever something came up.” The fragments were united in Castillo’s book Remains, which was published by McSweeney’s in early 2016. The book will make its Santa Fe debut at his reading with New York poet Sonja Bjelić at Strangers Collective’s NO LAND art space on Friday, May 19, 8:00 pm. “Strangers Collective has always worked to interlink emerging artists and writers in Santa Fe,” says Jordan Eddy, NO LAND Co-director. “When we connected with Jesús and learned about his collaborations with young creatives in the Bay Area, it felt like a perfect fit.” During his time in the Bay Area, Castillo helped organize ‘Lectric Collective, a collaboration that brought poets and visual artists together to produce exhibitions. The reading at NO LAND is a return to form: Castillo and Bjelić will read among the new media artworks of Marcus Zúñiga, whose solo show Ya Veo is on view at NO LAND through June 11. Jesús Castillo was born in 1986 in San Luis Potosí, Mexico. He moved to California with his parents and sister in 1998. In 2009, he graduated with a BA in literature and writing from the University of California-San Diego and moved to the Bay Area. There, he took an interest in the poetry of Ron Silliman and Ben Lerner. “They were working on this thing called the serial poem, which was not a single-page poem, but a long poem in sections, structured as a book,” he says. “I started messing around trying to see if I could figure out a way to create a longer poem out of short fragments.” That’s when the index cards floated into his life, and Castillo started spinning an epic poem on pages that could fit in his pocket. Jesús Castillo was born in 1986 in San Luis Potosí, Mexico and moved to California with his parents and sister in 1998. He studied literature and writing at the University of California-San Diego, and earned an MFA in Poetry from the Iowa Writers’ Workshop. His first book, Remains, was published by McSweeney’s in 2016, and he was the recipient of a National Endowment for the Arts Fellowship in 2017. He has worked at a counseling center for victims and perpetrators of domestic violence, in Santa Fe, NM for the past year. Sonja Bjelić lives in New York City where she is earning an M.F.A. in Poetry from N.Y.U. She studied Poetry and Indigenous Liberal Studies at the Institute of American Indian Arts, and her poems have been translated into Serbian and Spanish. She is currently at work on her first book. Alternative art projects and collectives aren’t just making waves anymore in Santa Fe. They’ve arrived: Siler, Rufina, Hickox, and Baca all feature experimental art spaces and disruptive collectives that challenge the Santa Fe status quo. This spring, Strangers Collective opens NO LAND, an art space that signals a new phase of this sea change, with a location in the heart of the City Different—the Santa Fe Plaza. 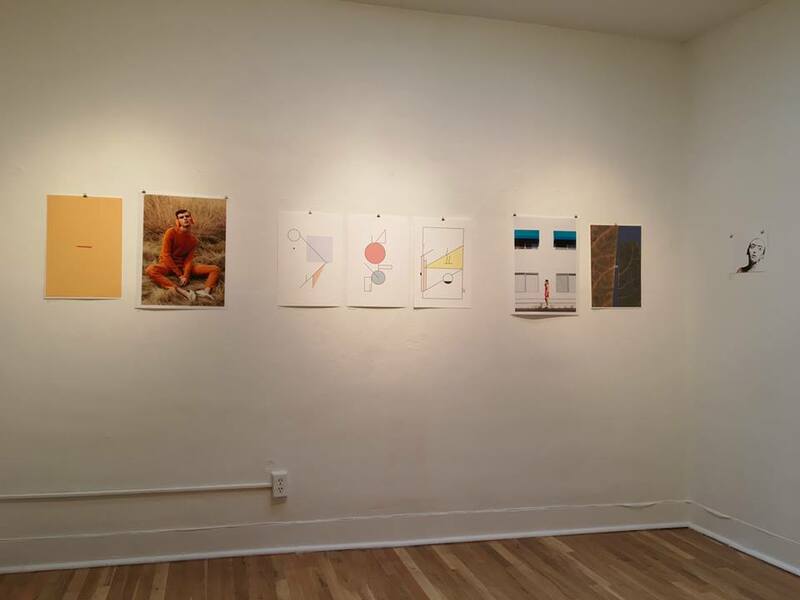 The grand opening of NO LAND is on Saturday, April 8 from 6-9 pm at 54 1/2 E. San Francisco St. #7. Curated by Strangers Collective, NO LAND will feature solo and small group exhibitions by artists, writers and performers, and also host collaborative events with other local creatives. Dedicated to those ready to take the next step in their careers, NO LAND gives artists the opportunity to develop and show full-fledged bodies of work. NO LAND will also house a permanent zine library and merchandise store of affordably priced items. Strangers began in fall 2014, in a living room in Santa Fe’s historic district. 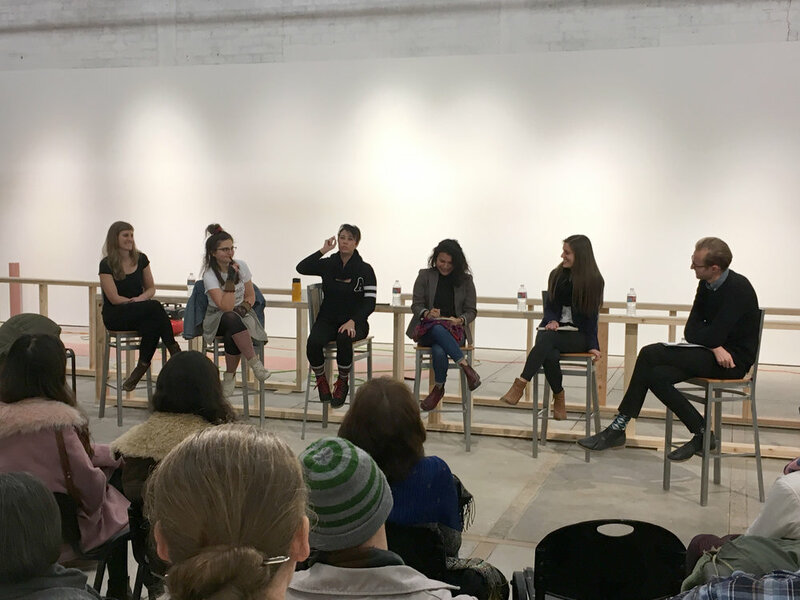 For the past two years, the group has worked with painters, printmakers, performers, photographers, writers, poets, and more, in venues from the Center for Contemporary Arts to Art.i.Fact. They now enter a space formerly used by prominent Santa Fe curator Eileen Braziel. “It’s time for a new kind of artist to show on the Plaza,” says co-director Jordan Eddy. “We’ve been working hard to rally the emerging art community, and there’s a huge demand for fresh, multilayered stories in this town.” The existence of a permanent space downtown allows Strangers to synthesize all of these skills and interests in front of the world, right on East San Francisco St. The first exhibition in the space will be Ya Veo, a solo exhibition of new media by local artist Marcus Zúñiga, opening April 8th, 2017. There’s a fashion movement brewing in Santa Fe, and the proof is in the pages of 1905 Magazine. Editors Mariah Romero and Darnell Thomas founded the quarterly digital publication in 2014, with the help of their fellow students at Santa Fe University of Art and Design. Now they’re taking their first steps into the larger fashion industry, and ushering a community of young style mavens to the cultural forefront in Santa Fe and beyond. Strangers Collective is pleased to present the 1905 Benefit Party, a pop-up fashion event at 54 1/2 East San Francisco Street on Saturday, February 18 from 7-10 pm. Artwork and merchandise from the magazine will be available for purchase at the reception, in support of Thomas and Romero’s sweeping vision for the publication. This event is free and open to the public, and will include complimentary refreshments. The duo chose the title 1905 Magazine as a reference to the birth year of legendary designer Christian Dior, and put together their first issue over winter break in 2014. Up-and-coming designers, photographers, writers, stylists and chefs quickly filled their masthead. For almost a year, they produced monthly issues. Thomas, Romero and their contributors produced editorial fashion spreads using borrowed clothes from local thrift shops, cooked up stunning culinary features in the kitchens of their college apartments, and designed style guides that encouraged their readers to embrace their individuality. “We give off the message that you don’t have to be trendy to be stylish,” says Thomas. “It’s not about what’s on the runway at fashion week; that’s what everyone else is doing. You don’t need a lot of money to have an eye for style.” The SFUAD community quickly embraced the new cultural platform. The graphic design department helped fund a print edition of 1905 in spring 2015, and a film student made a documentary about the magazine. That fall, Thomas and Romero switched to a quarterly publication schedule and got serious about polishing up the design and content. The monthly issues often ran over 100 pages, but they worked hard to edit it down to around 60 in 1905’s seasonal manifestation. “We want it to look as professional as the magazines we’re looking up to,” says Romero. They’ve examined every detail of Darling, Kinfolk and other arts and culture publications for inspiration. “We want to be at that level,” Romero says. “This isn’t just a student project any more, it’s what we want to do.” Their hard work paid off in 2016: the wildly popular social networking app Snapchat featured some of their images in its Discover feed, and an LA author profiled them for an upcoming lifestyle book. Thomas graduated from SFUAD in 2016, and Romero will get her diploma this spring. They didn’t think twice about carrying 1905 Magazine into the professional world with them, and they’re bringing their collaborators along for the ride. 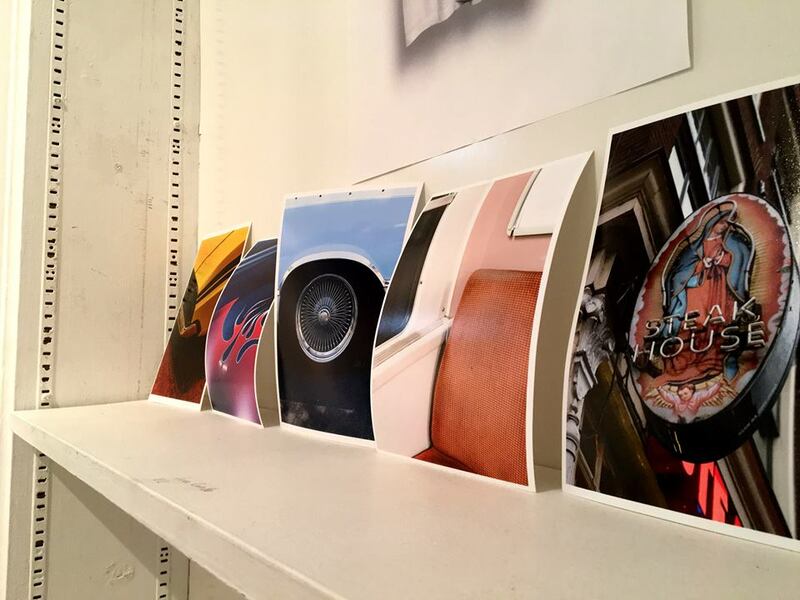 The 1905 Magazine Benefit Show will feature photographs and designs by a number of contributors to the publication. SFUAD graphic design professor David Grey, who has mentored Thomas and Romero, will contribute artwork to the exhibition. Andie Fuller, who has contributed recipes to the magazine’s culinary section, collaborated with Romero and Thomas to design a cookbook that will debut at the event. A new line of 1905 Magazine merchandise will also be available, at a price range of $5-$50. “1905 Magazine represents a new vanguard of local, talented fashion professionals,” says Strangers Collective co-director Kyle Farrell. “They’re already shaping Santa Fe culture, so we’re calling on the community to further elevate this inspiring project.” For more information and high resolution images, contact Jordan Eddy at strangersartcollective@gmail.com. Contributors: Lydia Abernathy, Jennifer Carrillo, David Grey, Laura San Román, Mark Baker-Sanchez, Amy West, Jonathon Duarte, Callan Ramirez, Keynan Johnson, Andie Fuller, Jennie Johnsrud, Mariah Romero & Darnell Thomas. Strangers Collective presents a special event series that is designed to send ripples through Santa Fe’s creative landscape. The emerging arts group will convene leaders of a new vanguard to discuss the future of the City Different’s contemporary scene. Echo Chamber is a two-night program that coincides with Strangers Collective’s Long Echo exhibition in CCA’s Cinematheque Lobby Gallery. The public is invited to engage in a social media dialogue, a panel discussion on January 4, and a round table conversation on January 11. Five innovators from the local visual arts, writing and performing arts communities will guide the conversation, challenging the audience to imagine the power and possibility of a tightly interlinked creative community. Echo Chamber will feature three conversations in different formats. First, each participating panelist will pick a topic regarding Santa Fe’s emerging arts community. Strangers Collective will reveal the topics one-by-one on the Echo Chamber Facebook event, sparking a series of online discussions. On January 4, the panel will convene to discuss each topic in front of an audience. On January 11, they will invite the public to add their voices to the conversation in a round table discussion. Strangers Collective will announce each panelist and their chosen topic on the CCA website and Facebook event in the coming weeks. Click here to learn more about Long Echo, and click the button below to RSVP for Echo Chamber on Facebook and join the conversation. Eliza Lutz is the founder of Matron Records, an independent, Santa Fe-based label and creative agency dedicated to helping artists tell their stories. A self-taught musician, graphic designer, silk screener, and promoter, Lutz’s passion for DIY in both art and business inspired her to build an independent record label that empowers musicians and artists to be more autonomous. Her personal projects include As In We, GRYGRDNS, and Future Scars. Originally from Truchas, a village at the foot of the Sangre de Cristo Mountains, Alicia Inez Guzmán holds a PhD in Visual and Cultural Studies from the University of Rochester, New York. A freelance writer and contributing faculty member at Santa Fe University of Art and Design, her work focuses on mestizo and indigenous land based art and histories of land use. Alicia’s forthcoming website Tierra is a 2017 recipient of a Creative Capital Arts Writers Grant. Liz Brindley is an artist who moved to Santa Fe in August. Primarily a printmaker and illustrator, Liz makes artwork about food to focus on our connection to the earth and each other. She believes art has the power to strengthen local communities by providing spaces for public interaction and honest dialogue. Currently, Liz balances her time as an Educator at the Georgia O’Keeffe Museum and a Farmer’s Assistant at the Santa Fe Farmers’ Market. She hopes to one day combine her love for food, nature, and art into an Art and Ecology Community Center. Elaine Ritchel is an independent museum educator and arts writer. She holds an MA in Art History from the University of Texas at Austin and has worked as a gallery teacher and language services specialist with arts institutions in the US and abroad, including the Blanton Museum of Art, the Museum of Contemporary Art Zagreb, and the Croatian Association of Artists. After a three-year stint in Croatia, she is now based in Santa Fe, where she launched Santa Fe Art Tours in 2015. Niomi Fawn is an award-winning Queer Feminist Renegade Independent Curator and artist. She pushes the boundaries of the art world’s hierarchical structures by curating exhibitions in alternative spaces and by using spaces alternatively, sometimes moving outside of the gallery walls and into the actual streets. 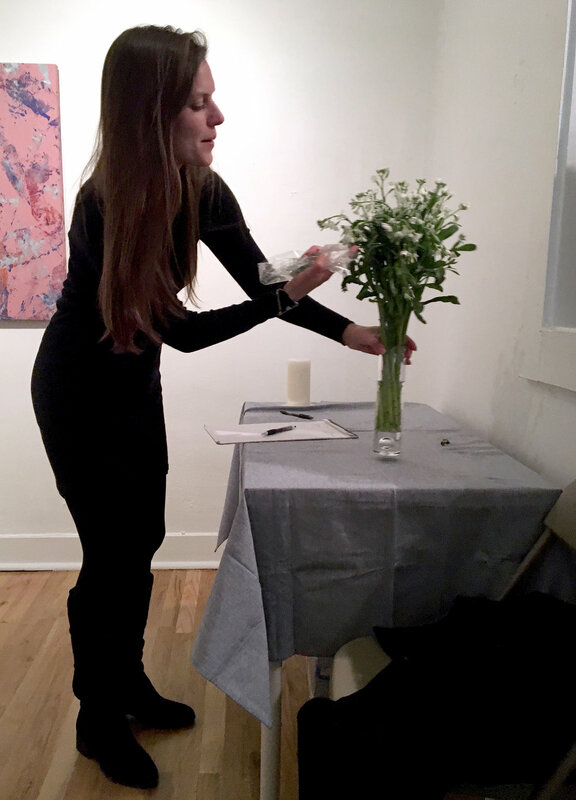 In 2014, she founded CURATE, a (Curatorial Venture) and has curated over 20 public and private art shows. She has been the sole curator since Fall 2014 at Santa Fe’s Iconik Coffee Roasters, bringing radical art into public space. She won the City of Santa Fe City IGNITE Grant 2016, curating a permanent art installation on the Santa Fe Plaza. Her work as an artist includes four years as an active member of Santa Fe’s famous art collective, Meow Wolf, and has exhibited in over 25 shows. Allen Ginsberg begins his 1956 poem Howl with the iconic line: “I saw the best minds of my generation destroyed by madness . . .” Sixty years later, Mary Dezember presents an urgent addendum to Ginsberg’s message. 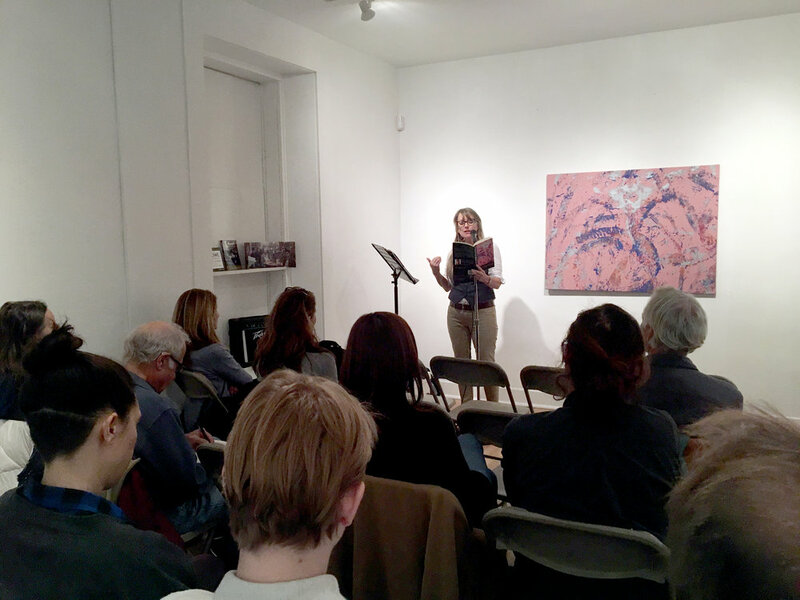 Strangers Collective is pleased to host the Santa Fe launch of Dezember’s book of poetry, Still Howling. At the holiday pop-up event on Saturday, December 17, the Albuquerque poet will read from her new collection—and carry the revolutionary howl into the 21st century. Wielding language that is both piercing and uplifting, Dezember explores the importance of creative expression, and of finding a voice in hurtful or oppressive situations. Still Howling is a rallying cry to question hegemony, and to embrace the realization that life persists through the alchemy of forgiveness. The book features cover art by the poet’s nephew, Steve Dezember II, who used his wheelchair to create stunning abstract imagery. Among the poems in the collection are tributes to courageous, life-embracing innovators such as Steve and his wife Hope, Rosalind Franklin and Georgia O’Keeffe. “Still Howling is the drumbeat we’ve been waiting for in unsettling political times,” says Strangers Collective cofounder Jordan Eddy. “Mary’s work will inspire you to forge onwards in the long march towards positive social change.” Dezember will read selections from Still Howling at the pop-up launch party hosted by the emerging arts collective. Signed copies of the book will be available for $9. Still Howling and Endnote to Still Howling are the First Place Winner of the Best Poem Contest 2016, sponsored by Beatlick Press. They were originally published by the journal Cacti Fur. Dezember believes in freedom of expression, inclusivity, pluralism, and creating awareness that catalyzes healing. 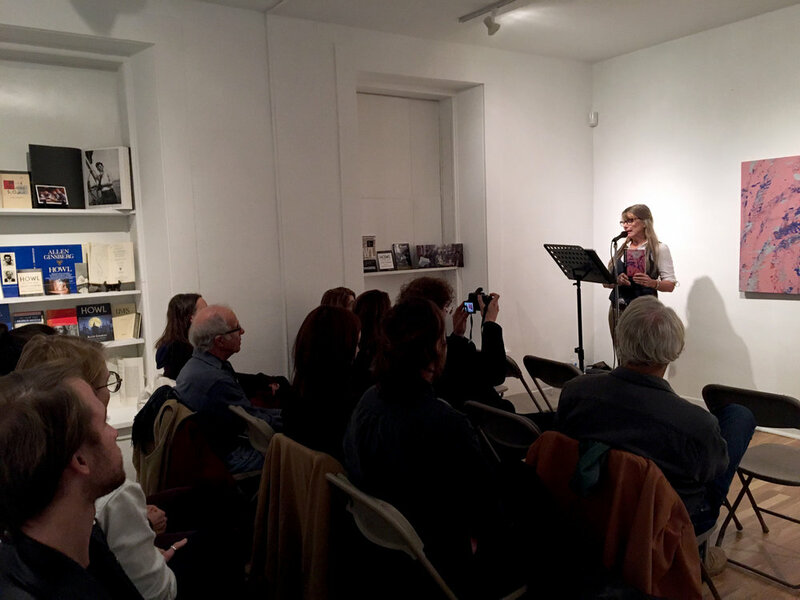 She earned her Ph.D. in Comparative Literature at Indiana University and is Professor of English at New Mexico Institute of Mining and Technology, where she teaches creative writing, art history and literature. Her first book of poetry, Earth-Marked Like You, was published by Sunstone Press. Read more about this event in Pasatiempo.